Our Mission is simple: to provide you with the finest endodontic treatment available in a comfortable, friendly environment. We utilize the latest technology to help us attain our goal of providing you with optimal endodontic therapy. Technology such as the surgical microscope, digital radiography, and ultrasonics are some of the tools Dr. Suffridge will use to manage your problem. We will do everything we can to ensure that your experience in our office is as comfortable as possible. I developed a tooth ache on a rear molar one Friday night. The next day it hurt even more. By Sunday the pain was unbearable, so I called my Dentist office emergency number. I have never understood why these kinds of problems always happen on the weekends. My dentist called me in a prescription for some antibiotics and pain medication till I could get an office visit. I was lucky to get in to see my dentist on Monday. The X-rays reveled I had an abscess. My dentist referred me to Dr. Suffridge for an evaluation. skilled, and he had all the best equipment available to treat my tooth. I called Dr, Suffridge’s office and they were quick to get me an appointment the next day for my evaluation. Dr. Suffridge did an evaluation and explained to me all my options for the treatment of my tooth. I was able to view an image of my tooth and the infection surrounding it on a monitor next to the dental chair. The monitor displayed all my information I provided them about my general health, any known allergies to any medication and more. Dr. Suffridge went through all my information with me to verify everything was correct. It was decided that my tooth needed a root canal in order to clear up the infection and save the tooth. 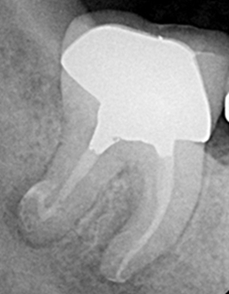 As Dr.Suffridge was explaining what was going to happen during the procedure the image of my tooth was changing to reflect each step in the treatment. I made an appointment for Thursday afternoon to have the root canal. On Thursday I was extremely anxious about the root canal. Everything went good, even the shots to numb the tooth didn’t hurt as bad as some shots I have had from other Dentist. But lets be real, all shots hurt somewhat and I don’t know anyone that enjoys them. Dr. Suffridge decided my tooth was too infected, and recommended a two step process and on this visit that he would clean all the infection he could and then pack the tooth with antibiotic material and do a temporary filling on the tooth. He explained to me that this would clear up any remaining infection around the tooth an increase the chance for saving the tooth. filling, I was in and out of the office very quickly. Dr. Suffridge and his Office Staff are professional and caring people.